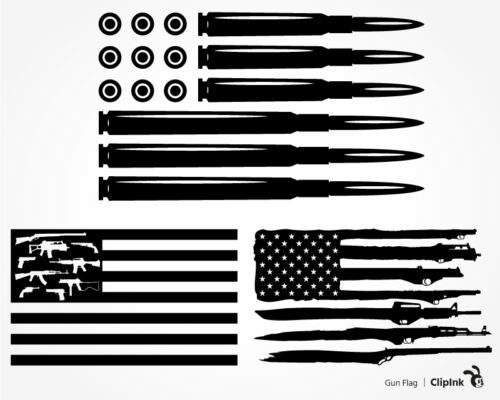 3 variations (+1 in color) of American flag – gun flag, bullet flag. 4 .pdf files – for printing. 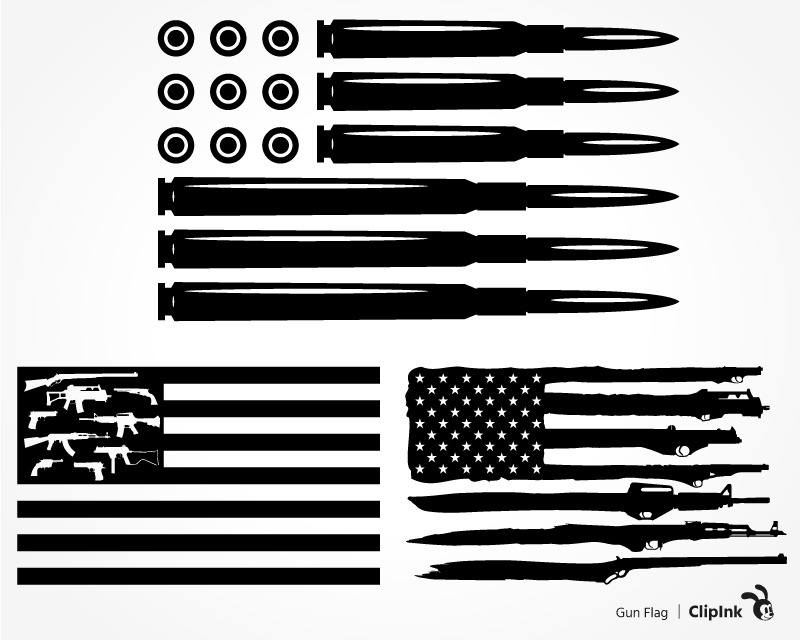 Gun flag svg and bullet flag svg – digital files – silhouettes, cliparts. 3 variations (+1 in color) of American flag. High quality vector graphics, scalable to any size without losing quality.